Drupal is an open source content management system that has been written in PHP and is available as a free download. It is a very popular content management system and makes for approximately 2% of the websites online. 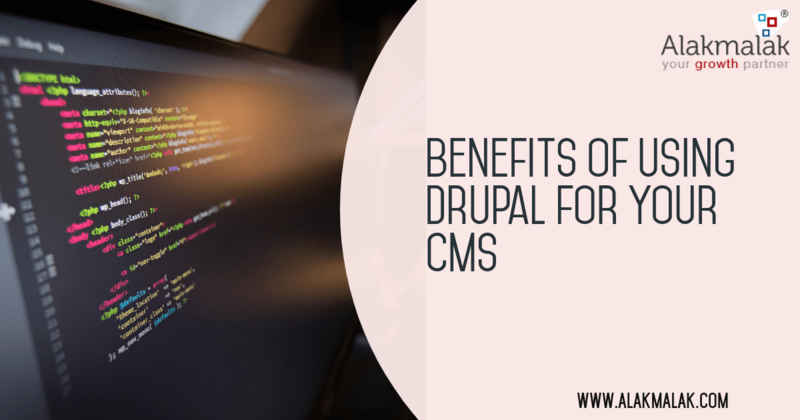 The Drupal open source software can be used to create any type of website, like personal blogs, educational websites, corporate websites, and even business websites. Drupal is a content management system that offers various features. It is one of the more advanced CMS software that is also optimized for the search engines. Drupal is easy to customize. It is simpler to create data structures as per the requirements and integrate customized data and code into the system. Drupal gives power to the user. As the administrator of the content management system either a professional website or a personal one, it is very easy to create new content and content types. Such tasks will not require the help of a PHP developer. The main issues surrounding larger websites or business websites is their scalability. With Drupal this not an issue since Drupal websites are highly scalable. The websites being developed these days have more demanding requirements. There are a great many APIs available that helps the developer create the appropriate solution. Drupal provides support to a large number of APIs. Some of the most popular APIs it supports include Facebook, Twitter, Google Apps, YouTube. Drupal is a content management system that is mobile ready. With a larger number of people accessing the Internet from their mobile devices this is a very important requirement. It is beneficial to your website if it is easy to find via the search engine. Drupal makes it easy to promote your website and develop digital marketing strategies since it is SEO friendly. Alakmalak is a Drupal development company in India that is involved in many different technologies. They offer a wide range of services including Drupal Development, Custom Web development and more. They have highly skilled web developers with plenty of experience hence, if in need to hire Drupal developers in India, you need not look any further. How to Install ZenCart Engine and Template?